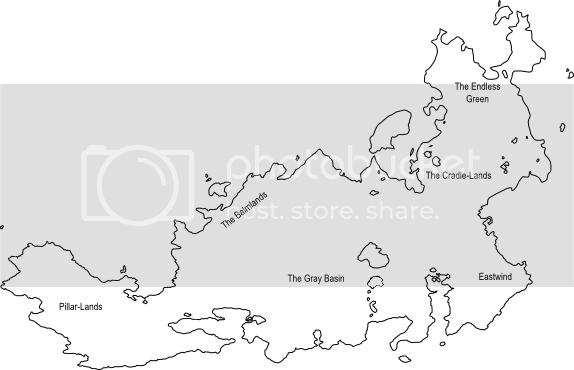 Oriund is the southernmost of the three Continent-Realms of Midlorr. Being located chiefly within the Southern Hemisphere of Midlorr, Oriund is characterized by increasingly colder temperatures as one travels south. Warm ocean currents flow between Drm and Oriund from the Northeast in a Southwesterly direction, and this leads to a milder Winter climate for the lands of Emperi, Haorus, and neighboring states. 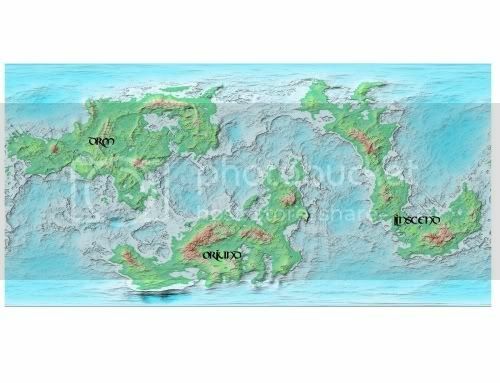 Overall, Oriund is the wettest of the three Continent-Realms; apart from the semi-arid lands of Eastwind, parts of the Gray Basin, and some arid mountain plains, desertification is largely unknown.